Features & Teasers is a great option we get with Thesis 1. The same feature can also be implemented in Genesis. The Genesis plugin called the “Genesis Grid” offers the same flexibility; the feasibility to work with Features & Teasers in Genesis. 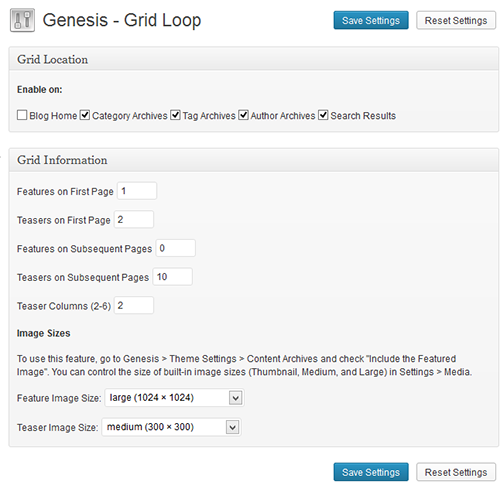 However, Genesis calls it the Grid loop, which allows Genesis users to display the posts in a grid format. Once you install the plugin (Genesis Grid), go to Genesis > Grid Loop to configure the display settings for features and teasers; where Features are full-width posts topping the list of posts on archives and blog page and Teasers are subsequent posts broken into columns. Select the archives for which you want to enable the Grid format. Specify the number of features and teasers on first page as well as subsequent pages. Choose the number of teaser columns (between 2 and 6). Select the image sizes for the featured images to show along with the features and teasers. However, you will need to enable “Include the Featured Image?” under Content Archives on Genesis > Theme Settings. The Features and Teasers will both display either the full content or only the excerpts. It depends on the “Content Archive” settings (Genesis > Theme Settings). If content archive is set to display post content, then both features and teasers will display full-content and if content archive is set to display post excerpt, then accordingly features and teasers will display excerpts. However, you can also configure features to display full content and teasers to just “tease” the content. It is a simple two step process. First, set Content Archives to display post excerpts in Genesis > Theme Settings. 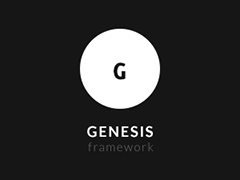 You can download Genesis Grid here.